Last week, we discussed waxing your board to get it ready for riding, but unfortunately sometimes bad things happen to good boards, like when you find yourself riding down the mountain and hear that sickening sound of a rock grinding into the bottom of your board. This is even more likely early in the season when the conditions aren't as prime, so it is possibly going to be coming up soon. Many boarders would follow their first instinct at this point and head straight to the shop, but this is often something you can fix yourself with a few tools. If the damage is smaller than a quarter and hasn’t penetrated all the way to the core, you can likely do it both cheaply and quickly with a P-Tex candle. If it is through to the core, you can fix it, but only do so if you feel comfortable. The smaller work is very similar to waxing your board, but deeper damage can cause future damage if not repaired correctly. Here, we will look at how to fix a medium depth gouge. Let your snowboard come to room temperature and clean out the gouge really well. Remove anything that is in there debris-wise, but also make sure that if the P-Tex layer has some material hanging around the edges you get that out also. Use the razor blade to remove anything that is still hanging on, but be sure not to make the damaged area bigger. It also will help to mark the area so you can see clearly where you need to work. Use your lighter to light one end of the P-Tex candle. It will take a few minutes to flame up. You want the flame to be low and blue, not tall and yellow like a normal candle. Roll the tip and let it drip onto a junk surface until you get a nice drip instead of black carbon flakes. Once you get the candle ready, move it to the gouge. Hold it close to the surface and let it flow into the damaged area. Start at the far edge and move toward yourself, allowing it to really pool into the middle of the area. It shrinks as it cools, so overfill and build it up a little. After this, put out your candle and let the P-Tex cool for about 15 minutes. Use a metal scraper to remove all material that is sticking up above the base. Use short, overlapping strokes at about a 45-degree angle. This will remove the majority of the material that is overfill after it has cooled, but it won’t leave it very smooth. To finish it up, use your sandpaper to go over the area and smooth it down. If you are using sandpaper, wrap it around a small block. When it is all smooth, rewax your board and get ready to have a good time. If you find yourself repairing boards often, you can purchase a P-Tex gun (similar to a glue gun) and sticks that fit in to make it easy to heat up and keeps the mess to a minimum. Just because you’ve hit a rock doesn’t mean you have to take off a long time, and it also doesn’t mean you need to drop a lot of money at an overpriced shop. While the shop can be a great option if something more serious happens, it doesn’t have to be your first stop for something really basic. 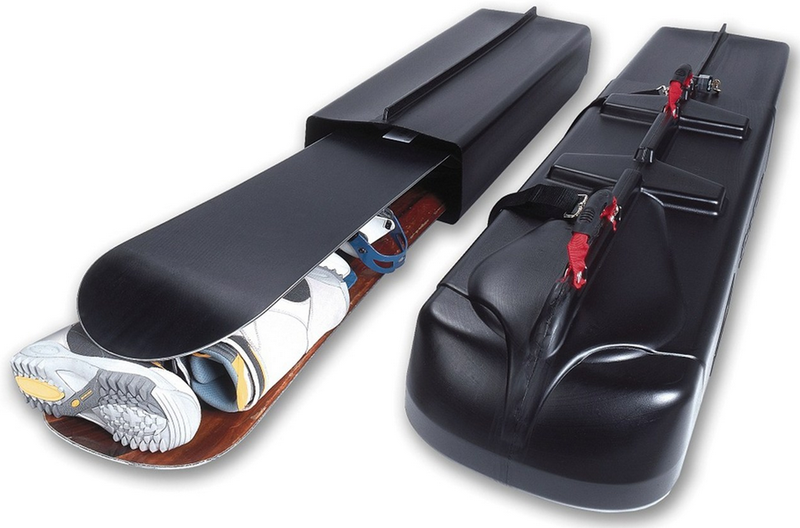 Unfortunately, boards can also be damaged in transport, but if you pack it in a hard covered snowboard case, the chance of it being hurt on the way to the mountain is much less likely. Bike Touring: How Far Can You Bike in a Day?